360 degree - 3D character control to explore vast 3D worlds! Run fast to jump high and spin through the worlds with the Spin Attack! No locked views!!! Ultimate Freedom!! Control your free camera with gyro tilt controls! 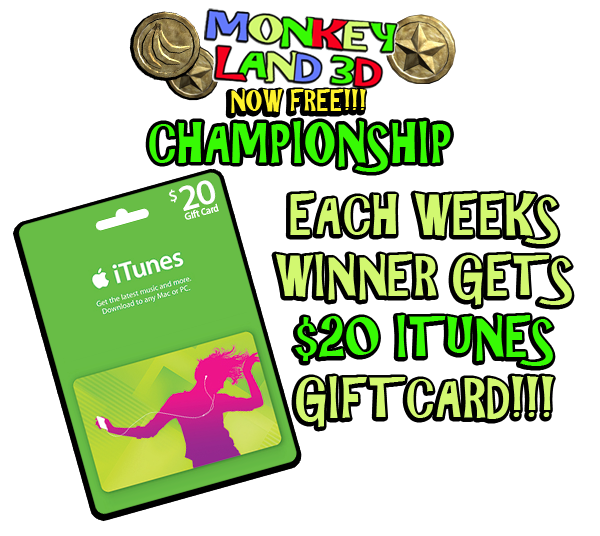 Monkey Land 3D CHAMPIONSHIP $100 in Prizes!! Round 2!! 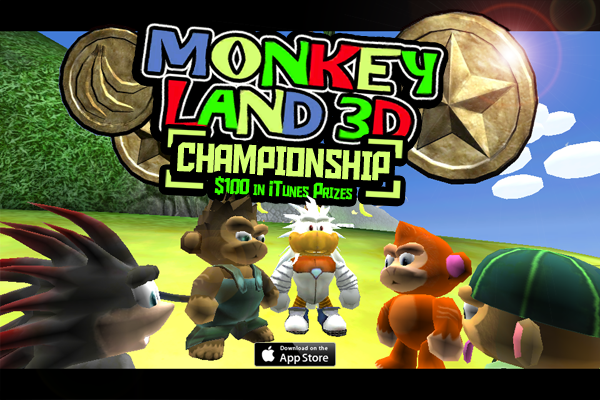 Welcome to the Monkey Land 3D Championship with $100 in Prizes!! The game is now FREE for a limited time so no purchase necessary! Each Weeks Winner gets $20 iTunes Gift Card!!! 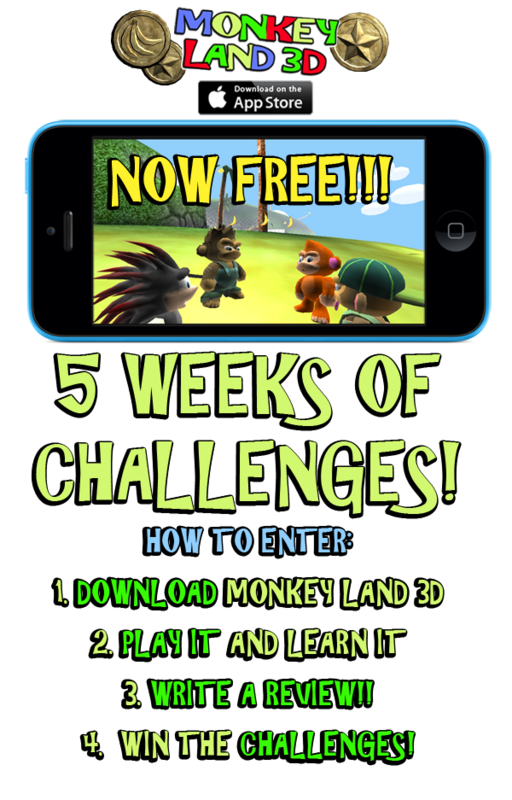 Go to MonkeyLand3D.com or Fmjgames.com to enter!! Have you played Sub-Zero yet? Check out Monkey Land 3D Sub-Zero on iTunes now! It's a free action adventure set in an icey world with dinosaurs, demons and friendly faces alike! 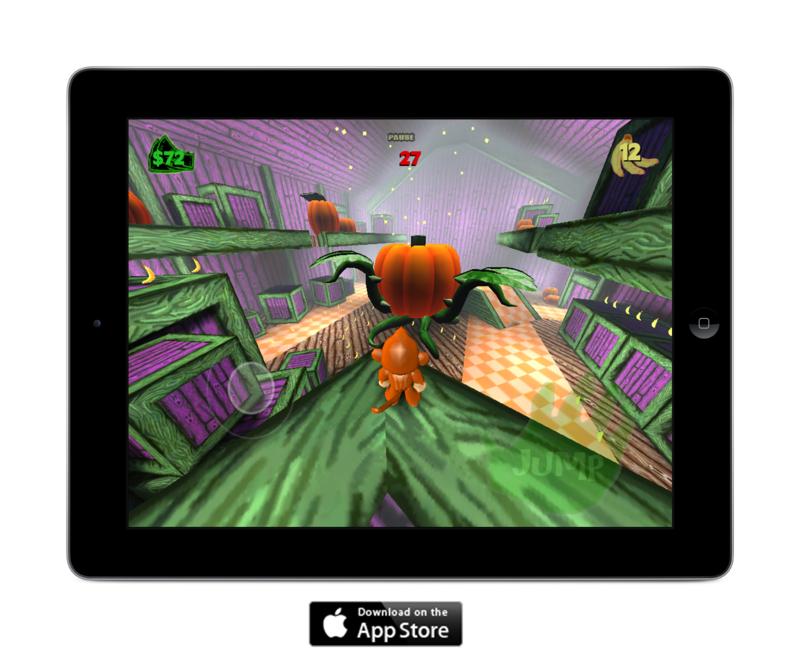 New Monkey Land 3D Sub Zero coming soon for iPhone! Monkey Land 3D for iPhone and iPad! Check out the game and go give us a like on Facebook so we can do more cool stuff! Only need 10 more likes until the next tier! Thanks for the support!